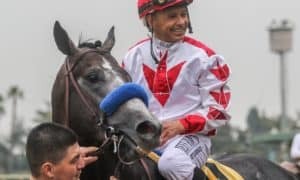 The feature race of the Gulfstream Park Championship Meet is set for this Saturday: the 68th running of the Florida Derby (G1). 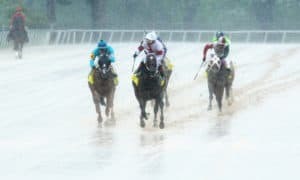 From the first 67 editions, a total of 44 starters eventually captured 59 Triple Crown events, including 24 Kentucky Derby champions, 19 Preakness winners, and 16 Belmont victors. The main event is part of a 14-race card featuring seven stakes. 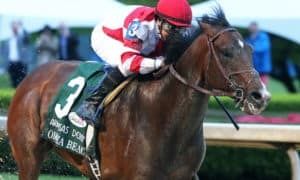 The Gulfstream Park Oaks (G2) for 3-year-old fillies, the Gulfstream Park Mile (G2), and the Pan American (G2) highlight the Florida Derby undercard, which also includes the Sanibel Island, the Cutler Bay, and the Sand Springs. The headlining horse of this race, and really of the entire 3-year-old crop at this moment, is the Bill Mott-trained Hidden Scroll. 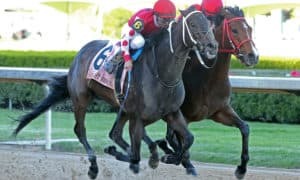 The powerful Hard Spun colt turned heads with a dominating debut maiden special weight romp on Pegasus World Cup Day, then set very fast fractions before finishing fourth in the Fountain of Youth Stakes (G2). He draws the rail for this event, with new jockey Javier Castellano abroad for the first time. The logical main challenger is the Fountain of Youth (G2) winner Code of Honor. 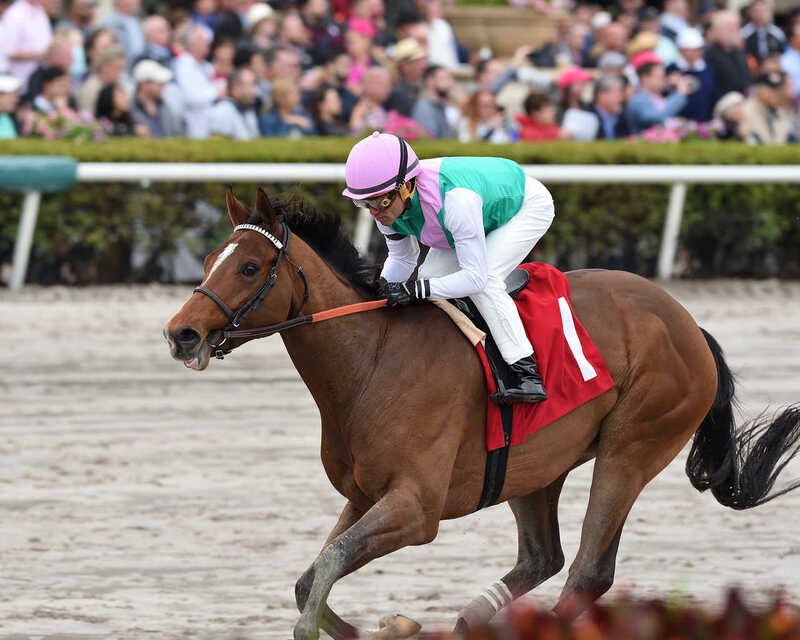 He is back for the third time at the Gulfstream Park meeting, having disappointed in the Mucho Macho Man Stakes, his 3-year-old debut. Trainer Shug McGaughey won this race with Orb in 2013 before later going on to capture the Kentucky Derby. Fountain of Youth Stakes (G2) runner-up Bourbon War is also back for this race. The Tapit colt trained by Mark Hennig has progressed beautifully as a 3-year-old in South Florida. Before his closing finish in the Fountain of Youth, he was a sharp allowance winner over a solid field. He drew well for this race, breaking from post 4 with Irad Ortiz, Jr., aboard. The full field from the rail out for this year’s Florida Derby: Hidden Scroll, Current, Harvey Wallbanger, Bourbon War, Everfast, Hard Belle, Maximum Security, Bodexpress, Code of Honor, Union’s Destiny, and Garter and Tie. 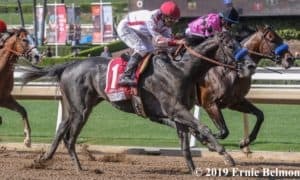 #4 Bourbon War – If you watch the gallop-out in the Fountain of Youth Stakes (G2), it is clear that Bourbon War was just getting started as they approached the wire. He was way in front after the finish line. That gallop-out, along with a rock-solid pedigree, has me believing that the longer distance of 1 1/8 miles is right in his wheelhouse. 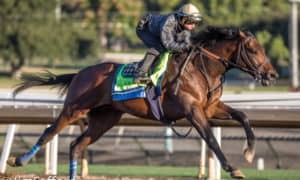 His late-running style may not play all that well in the Kentucky Derby, but the pace here could set up perfectly for him. The pace should be hot, which means that he’ll drop back and make one giant run in the end while trying to pick them all off in deep stretch. His progression has been impressive enough to think that he can get it done. #1 Hidden Scroll – Oh boy. His rail draw in this specific race is just a disaster. There is very little doubt in my mind that Hidden Scroll has more talent than anyone in this field; however, for a horse that had trouble rating last time out, starting inside in a field of 11 does him absolutely no favors. Before the draw, this was my pick to win, but it’s now very hard to stick with that plan. He is still a horse that you must play in all of your wagers because his talent level is outstanding, but this draw makes him tough to play on a straight win ticket, especially if he goes off as the favorite. #9 Code of Honor – There is no doubt he’s been a Jekyll and Hyde-type this year. 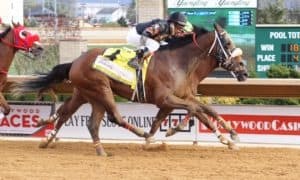 He was too bad to believe in the Mucho Macho Man Stakes, then rebounded in a tremendous way to win the Fountain of Youth Stakes (G2) last time out over the deepest Kentucky Derby prep of the season. He now must prove that he can put together back-to-back solid races, as this is another solid field. The pace should set up very well for his running style, as he can stalk the leaders from mid-pack before getting the first jump when the field turns for home. Look for him to show up with another big race. #3 Harvey Wallbanger – The good news is that he won the Holy Bull Stakes (G3) last time out. The bad news is that the race came back slow on paper and its starts have not come back to run well since. The projected pace of this race does set up very well, though, for his late running style, which could lend him a decent shot at hitting the board. That will likely be his ceiling against this stout group of horses. 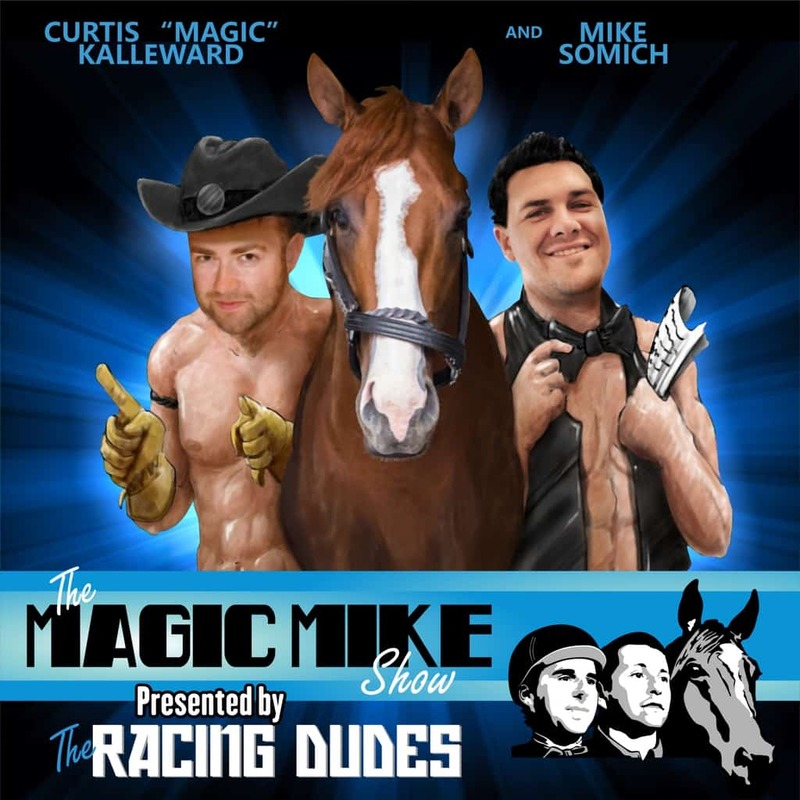 #7 Maximum Security – He will serve as the ultimate wild card in the race. He has been flawless in three starts, winning by the length of the stretch each time. However, those came at sprint distances against much easier company than what he’ll face here. In fact, this horse has never even faced open allowance company, having debuted in a maiden claiming event. There is a lot of question marks for this talented colt, so the price will need to float up in order to make him playable with a straight win bet. 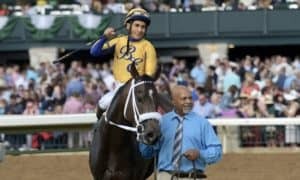 #2 Current – From a pedigree standpoint, there is a lot to like about this son of Curlin who has done most of his damage on turf. However, he did run in the Kentucky Jockey Club Stakes (G2) on the dirt, which did not go well. He needs to show a lot more here in order to have a chance. #10 Union’s Destiny – This colt is improving with each race, having finished a decent sixth last time out in the Fountain of Youth Stakes (G2). He is likely to take another step forward in this spot, but it just might not be enough to make an impact against another very tough field. #11 Garter and Tie – At age 2, he won two nice Florida-bred stakes races, which set him up to try tougher company this season. He did not embarrass himself in the Mucho Macho Man Stakes or Fountain of Youth Stakes (G2), though he was never a threat to win, either. Simply put, he just may not be up for a race of this caliber. #5 Everfast – This year’s Holy Bull Stakes (G3) has proven to be extremely weak. Even though he finished second, it shouldn’t mean much moving forward, as we saw last time out with his eighth-place finish in the Fountain of Youth Stakes (G2). Expect more of the same from him against this stout field. 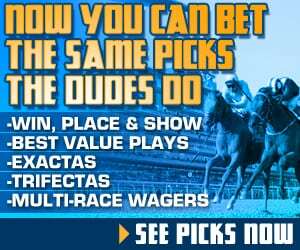 #8 Bodexpress – It’s pretty impossible to think that a maiden can have much of an impact here. This colt has raced four times in his career, with two seconds and two off-the-board efforts. He’s up against it in a big way. 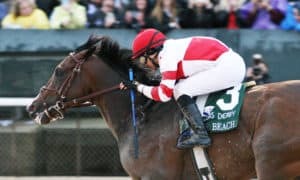 #6 Hard Belle – Even with how crazy this year’s Kentucky Derby prep events have been, there is no way that he has a shot in this race. It is hard to see him having any impact in the race, other than perhaps as a pace factor in the early stages.